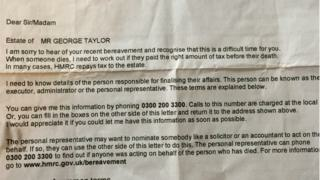 A man read of his own “death” in a letter from HMRC that said his pensions had been cancelled. 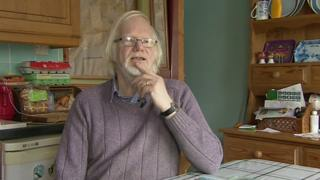 George Taylor, 65, of Par in Cornwall, said he was shocked when he received the letter at the end of last year, but added he now saw “the funny side”. The NHS apologised for the blunder and blamed an “internal error”. He called the department the same day, and his state pension was reactivated within four days. “I phoned them up to inform them that I am still alive, and they told me that they would send it through to their finance people,” he said. He said he and his wife had been able to cope financially without the payments for the past few weeks, but that others “may not be so lucky”. The NHS said it was given the wrong information, and that payments “were not reinstated as quickly as they should have been”.